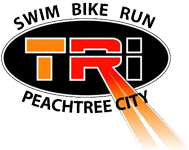 Tri-Ptc was founded in 2003 to give area triathletes a source of support, information, training, and racing. We encourage all athletes, not just triathletes, to look at our club and see what we have to offer. We are active in the community not just with donations of money but we also encourage our members to volunteer.